Looking for a limo that would overshadow anything else that‘s on the market right now? Stretch Limousine Inc continuously strives to obtain and provide to the public the newest and coolest vehicles. 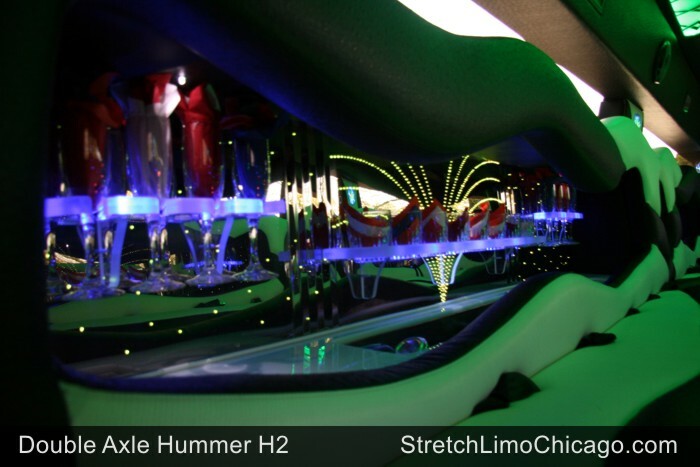 The next time you have a special event, and single axel vehicles are just not enough, try our Chicago Hummer Limo, a double axel party on wheels!!! You and 25 of your friends will really enjoy this newest addition to our fleet, and the “wows” you get will ring in your ears for the next few days. Need a smaller hummer limo? 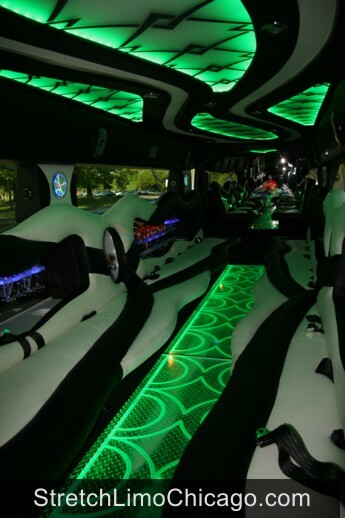 Visit our Chicago hummer limo page for different size hummer limos. 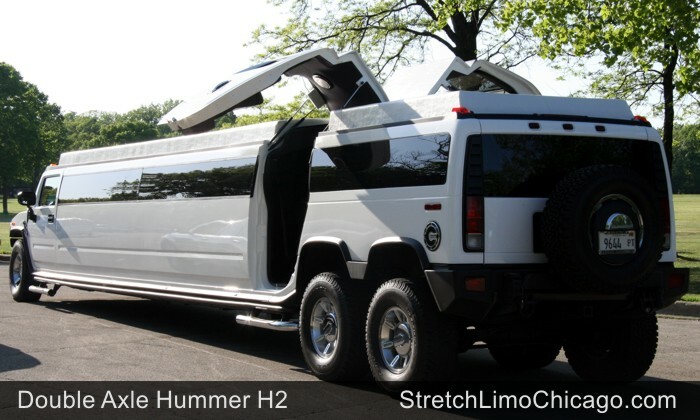 or to reserve this double-axle Hummer H2 SUV limousine! 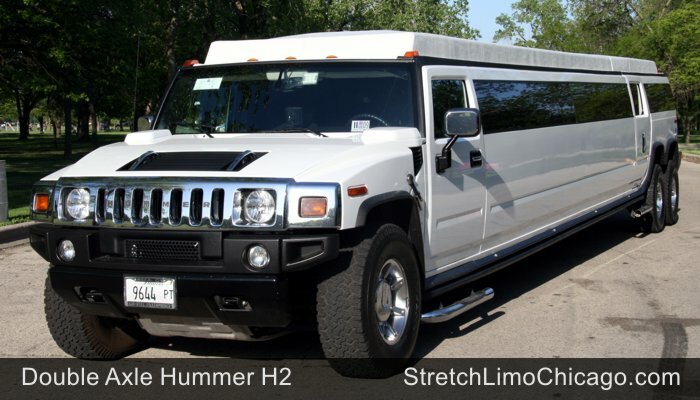 Hummer H2 SUV limo service in Chicago now! Unfortunately, this limo is reserved strickly for special event hourly service, for example proms during prom season. We DO NOT offer point to point transfers nor airport transfers in this limo. Please refer to the rate table below for hourly rates for this beautiful Hummer H2 SUV. 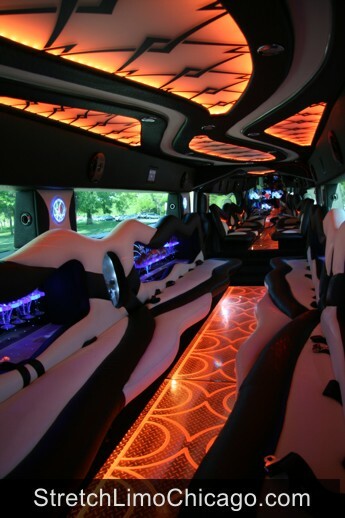 What's included w/every Hummer H2 limo bus reservation? For all hourly services in our Hummer limo limousine bus, unlimited stops, unlimited pick-up locations are included. Rate Disclaimer: 20% standard gratuity and hourly fuel surcharge are additional and will be added on TOP of our limo bus hourly rates advertised above. Non-refundable deposit specified above is required to reserve this vehicle and take it off the market. Our limobus hourly rates displayed above are valid for pick-ups within the 30 mile radius from Chicago O'Hare airport. Rates are subject to change without notice. New Year's Eve rates are the same as Saturday rates. Thanks for visiting our Chicago Hummer H2 SUV rental page!